Areas of Expertise: European asylum and migration policy; migration and development, refugee integration, human rights. ECFR’s research conducted through its team of 28 researchers in the EU member states lends a uniquely pan-European perspective to some of the biggest strategic issues and choices Europeans need to confront. Since its inception in 2010 the network has contributed to ECFR flagship reports on European foreign and security policy, the EU28’s relations vis-à-vis global partners, as well as the internal governance and cohesion of the European Union. The research is conducted individually and involves in-person and telephone interviews as well as desktop research such as analyzing government publications, speeches, official announcements, opinion polls, etc. Four to six research assignments are run per year. Each is guided by a specific questionnaire, developed by ECFR, that includes the questions and topics relevant for a given project. Key to the role of Associate Researcher is the ability to work independently and acquire information fist-hand from policy makers and experts on changing topics related to EU policy and European external affairs. ECFR Associate Researchers share a solid understanding of European (foreign) policy processes, institutions, and are familiar with navigating their national policy communities. Their work contributes background information and gives relevant context for drafting ECFR reports on each research topic. ECFR’s pan-European research through its team of Associates relies on trust and confidentiality. Personal information or the identity of interviewees are neither disclosed to the public nor any third party as part of the research or the ECFR publications that are based on it. Sofia Maria Satanakis has been a research fellow at the AIES since 2013. Her research covers the topic of European Integration, with a special focus on the EU’s Common Foreign and Security Policy (CFSP) and Common Security and Defense Policy (CSDP). She also covers Greece and Turkey and their bilateral relations. In 2017, she joined the Cologne Forum for International Relations and Security Policy (KFIBS e.V.) by becoming part of the research group 'Europe/EU'. Simon Desplanque is a PhD candidate at the Université catholique de Louvain (Belgium). His main research areas are the relations between culture and International Relations as well as US foreign policy from an historical perspective. He is also interested in Belgian foreign policy. Marin Lessenski is Program Director of the European Policies Program of the Open Society Institute – Sofia. He holds an MA in Southeast European Studies from the Central European University - Budapest and an MA in History from the University of Sofia. He has been a Freedom House Visiting Fellow with the Hudson Institute's Center for European and Eurasian Studies and the Center of National Security Studies. He has also been a participant in the Transatlantic Young Leaders Program of the Aspen Institute - Berlin. At OSI-Sofia he is responsible for the Catch-Up Index, which measures the convergence or divergence of European countries along key economy, democracy, governance and quality of life indicators, with a focus on CEE. His areas of interest also include EU's foreign, security, neighbourhood and enlargement policy, Southeastern Europe and the Black Sea region. He has been working with ECFR since 2007. 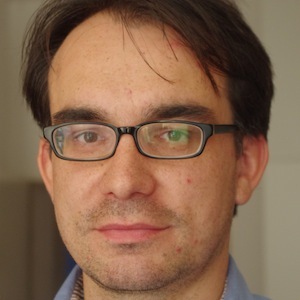 Robin-Ivan Capar is a media expert and policy analyst based in Zagreb, Croatia. As the head of Zagreb Office at Spitzberg Partners LLC, he covers the TMT sector, along with evaluating and supporting investments. Robin has previously worked as a contributing editor for Index Publishing, where he had several responsibilities at the most-read Croatian news site – Index.hr. During his time at Index.hr, he wrote on European integration, South-Eastern European politics, and domestic politics. Robin serves as a National Researcher for the European Council on Foreign Relations, where he covers Croatian foreign and EU policy. He holds a postgraduate specialization in European Project Management from the Faculty of Political Sciences, a Master degree in Applied Linguistics and a Master degree in Italian language and literature from the Faculty of the Humanities and Social Sciences, University of Zagreb. He is currently enrolled in a PhD program at the Department of Sociology at the Faculty of the Humanities and Social Sciences, University of Zagreb. Hüseyin received his BA in Political Science and Public Administration from Bilkent University in Ankara, and holds a MSc in European Politics from Birkbeck, University of London. Since 2014, he has been working with ECFR as an associate researcher. Vladimír Bartovic is the director of EUROPEUM Institute for European Policy. In 2014 he has been appointed external advisor – a member of the Group of External Advisors on the EU policies to the Minister of Foreign Affairs of the Czech Republic. From 2011 to 2012 he served as a director of Strategic Planning and Analysis at the Department of the Ministry of Foreign Affairs of the Slovak Republic. He served also as a member of the Programme Council of the Czech – Polish Forum (2014 - 2016), member of the Board of Directors of PASOS - Policy Association for an Open Society (2015 – 2017) and member of the Board of DEMAS - Association for Democracy Assistance and Human Rights (2009 - 2014). He graduated in international trade and international politics at the University of Economics, Prague, Faculty of International Relations. He also worked as an editor in the Integrace magazine. He has been lecturing on topical EU issues at the Institute of Public Administration and the Czech National Bank. His main areas of expertise are: EU institutional issues, economic development of the EU, Economic and Monetary Union, EU foreign policy, EU enlargement with the focus on Western Balkans, Slovak foreign and domestic policy and economic issues. Christine Nissen is a Research Fellow at the Danish Institute for International Studies (DIIS) in Copenhagen. Her main areas of research are international crisis management, wider European security, EU security and defence cooperation, and the interplay between EU and national foreign and security policies, in particularly in the case of Denmark. She has been working with ECFR as an associate researcher since 2014. Viljar Veebel is researcher of the Department of Political and Strategic Studies at the Baltic Defence College. He holds a B.A. and M.A. in International Relations and a doctoral degree in political science (Ph.D.) from the University of Tartu. He has worked as academic advisor of the Estonian government in the European Future Convention and as researcher for several research institutions, including OSCE, SIDA, the European Council on Foreign Relations, Estonian Foreign Policy Institute, Latvia Institute of International Affairs and Eurasia Group. He has been lecturing in University of Tartu, Estonian National Defence College, Ukrainian Diplomatic Academy, OSCE Border Management Staff College and Estonian Diplomatic Academy. His main areas of competence cover: Russian military doctrine and strategic ambitions; game theory and non-cooperative game models in security studies and deterrence; positive conditionality concept in initiating reforms and policy change; concepts and models of deterrence for small nation states; hybrid warfare and concept of deterrence during hybrid warfare. 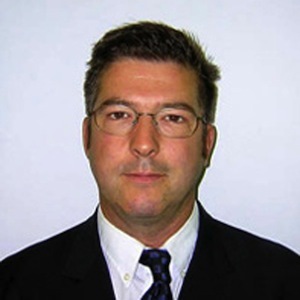 Martin Quencez currently serves as a fellow and senior program officer at GMF’s Paris office. His work includes research on transatlantic security and defense cooperation, U.S. and French foreign policy, on which he regularly writes articles for the French and transatlantic press. He also teaches transatlantic relations at the Euro-American campus of SciencesPo, and is an associate researcher for the European Council on Foreign Relations (ECFR). Prior to joining GMF, he worked for the Institute of Defense Studies and Analyses (IDSA) in New Delhi, where he focused on French and Indian strategic thinking. 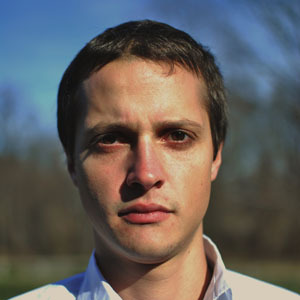 Louis-Simon Boileau is a PhD candidate at the Center for International Research (CERI) of Sciences Po Paris. His main area of research focuses on French Foreign Policy in North Africa through the study of diplomacy's practices and domestic decision making process. He also conducts research on the role of political parties in foreign policy definition and agenda making. He teaches political science, international relations and public opinion analysis at Sciences Po Paris and HEIP (High School of International and Politics Studies). Since 2019, he manages the MENA Observatory of the French think tank Fondation Jean Jaurès. Anna-Lena Kirch is a Research Associate at the Centre for International Security Policy (CISP) at the Hertie School of Governance and works on Polish-German relations in the area of security and defence. Further research interests of hers include EU governance and European differentiation processes, Central-Eastern European cooperation formats like the Visegrád Group, and German foreign policy. Previously she worked at the German Council on Foreign Relations (DGAP), the German Marshall Fund of the United States, the German Institute for International and Security Affairs (SWP) and the European Parliament. She is currently completing her PhD at Justus Liebig University in Gießen with a focus on “sub-regional cooperation formats in the EU". Dr George N. Tzogopoulos is an expert in media and politics, international relations as well as Chinese affairs. He is Senior Research Fellow at the Centre International de Européenne (CIFE) and Visiting Lecturer at the European Institute affiliated with it. He is teaching international relations and energy international relations at the Department of Law of the Democritus University of Thrace. 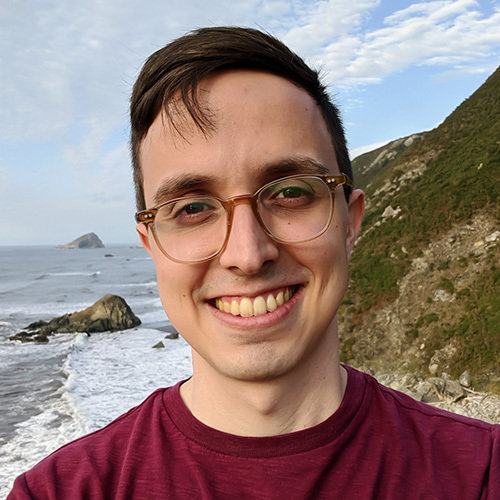 George recently joined the Begin Sadat Center for Strategic Studies (BESA) as a Research Associate where he is, inter alia, moderating its newly launched online debates on several international themes. 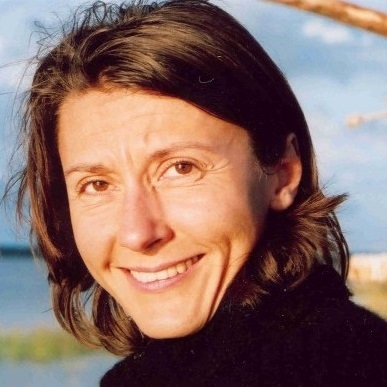 Zsuzsanna Végh is an associate researcher at ECFR and a research fellow at the Comparative Politics Chair of the European University Viadrina in Frankfurt(Oder). Previously, she worked at the Center for European Neighborhood Studies of the Central European University (2012-2017) and at the Hungarian Institute of International Affairs (2009-2013). Her research interests include Hungarian EU and foreign policy, Central European cooperations including Visegrad, the EU’s relations with its Eastern neighborhood, and the radical right in Central Europe. Andrew Gilmore is Deputy Director of Research at the Institute of International and European Affairs, in Dublin, Ireland. In his role at the IIEA, he is responsible for coordinating the work of the IIEA's UK project group, with oversight over the Institute's extensive Brexit events and publications programme. He also oversees the IIEA's Foreign Policy, Enlargement and European Neighbourhood Policy research and event programmes. He is the author or co-author of several books, articles and policy briefs for the IIEA and other organisations. 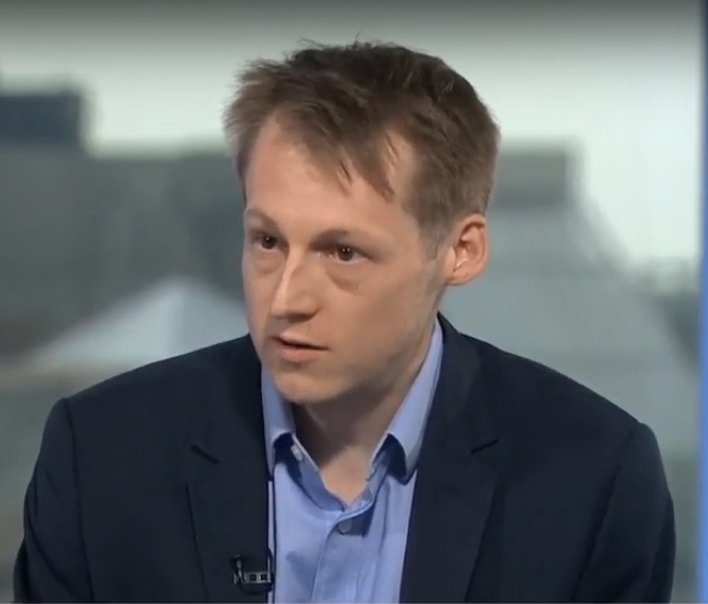 Federico Solfrini is a PhD candidate in International Relations and East Asian Security at the University of St Andrews, with a research project on North Korea’s foreign policy. He holds an MA in International Relations and an MLitt in Economics and Institutions of the Arab Countries from LUISS Guido Carli University in Rome with a final dissertation on Italian energetic security. In 2014, he was visiting researcher in the Department of Political Science at Boston College, Massachusetts. In addition to his academic career, he has worked as a researcher for the Radicalisation Awareness Network (RAN) at the EU Commission, and as an independent consultant on radicalisation prevention at the Italian Parliament. Karlis Bukovskis is Deputy Director and researcher at the Latvian Institute of International Affairs (LIIA), author of numerous articles, and scientific editor of several books. Bukovskis is also a visiting lecturer on global political economy, international financial systems and the EU integration at Riga Graduate School of Law and Riga Stradins University. He acquired master’s degrees from the University of Latvia and the University of Helsinki, and is currently a PhD candidate. Bukovskis has dealt with EU institutional, political and economic developments while serving at the Ministry of Foreign Affairs of Latvia, the Secretariat of the Latvian Presidency of the Council of the European Union (where he developed the Presidency’s six-month work program), and also at the Ministry of Finance of Latvia. Christopher Marc Lilyblad is Lecturer within the Master in European Governance programme at the University of Luxembourg, where he co-designed an innovative course on Sustainable Development in Practice featuring senior policymakers as guest speakers. He also leads a consulting firm specializing in strategy, development, and governance, with a particular emphasis on private-public partnerships within the Sustainable Development Goals framework. He holds a doctorate in International Development and M.Sc. in Global Governance and Diplomacy from the University of Oxford, where he attended as a Clarendon Scholar, as well as a B.A. from the University of Washington focusing on International Political Economy. Dr. Lilyblad’s academic research addresses questions of sovereignty and violence, non-state and private authority, institutions, socioeconomic security and social protection, territorial governance and resilience, the local-global dimension, the security-development nexus, and international relations theory. 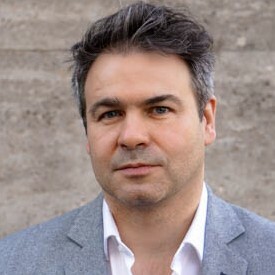 He has held research fellowships at Harvard University’s Transnational Studies Initiative as well as the University of Oxford’s Changing Character of War Centre. Daniel Mainwaring is an international foreign policy advisor and researcher based in Malta. He has a Master’s in Global Policy Studies from the Lyndon B Johnson School of Public Affairs at the University of Texas at Austin. Among other recent positions, he has been an advisor to the Maltese Ministry for Foreign Affairs and a researcher for the International Centre for Migration Policy Development. His primary research interests are human smuggling and irregular migration policy. 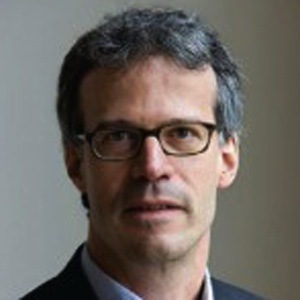 Niels van Willigen is an associate professor of international relations in the Institute of Political Science at Leiden University. His professional fields of interest include; theories of international relations, foreign policy analysis, security studies (more in particular peace operations, arms control and European security) and international law. His teaching includes introductory BSc courses on international politics and international organizations and advanced MSc courses about issues related to international security and foreign policy making. Lívia Franco is Professor and Senior Researcher at the Institute for Political Studies at the Catholic University of Portugal (IEP-UCP). Her areas of interest include contemporary international politics, security and defense issues, and democracy studies. Lívia Franco earned her PhD in Political Science at IEP-UCP and her MA in International Relations from Leuven University. She was a PhD student at Boston College and a visiting scholar at Brown University, as well as the recipient of FCT, FLAD and Fulbright Scholarships. Lívia Franco is a frequent commentator on International Affairs at Portuguese media. Radu Magdin is an international analyst, consultant and think tanker. He worked as a honorary advisor to the Romanian Prime Minister (2014-2015) and advised the Moldovan PM (2016-2017) on a range of strategic issues, from political strategy and communications to reforms implementation and external affairs. Radu is a NATO Emerging Leader with the Atlantic Council of the US (2014), a Forbes Romania Trendsetter (2014) and a Warsaw Security Leader (2015). Since 2015, he is EU affairs Vicepresident @ Strategikon, English-speaking Bucharest-based think tank. Magdin, a widely quoted analyst by global media, teaches, starting 2019, with Romania's SNSPA, "Global Competition and Strategic Communications", an MA course with a special focus on great power competition and its impact on global players. He writes regularly op eds for Deutsche Welle, Euronews and Forbes Romania and is passionate for technology, particularly by communicating AI and the 4IR. Matej Navrátil is fellow researcher at Comenius University focusing issues of organization theory, identity studies, European Union, foreign and security policy of the EU and Europeanization of Balkans. Matej received his PhD from the Department of Political Science and graduated the Department of European Studies and International Relations at Comenius University in Bratislava. He spent a full semester as visiting scholar at the Norwegian Institute of International Affairs (NUPI). Matej has actively participated in numerous international and national conferences, including the Annual International Studies Association convention. In his PhD Matej explored institutional and administrative changes in Ministries of Foreign Affairs in selected countries as a consequence of Europeanization beyond the EU borders. He co-authored two book chapters international scholarly volumes (one of them published by Palgrave) and other working papers focusing on the EU’s role in crisis management and foreign policy in general. Marko Lovec is a Research Fellow and Assistant Professor in IR at the Faculty of Social Science, University of Ljubljana. He specializes in European politics and politics of the European Union. He has been Associate Researcher at ECFR since the beginning of 2016. 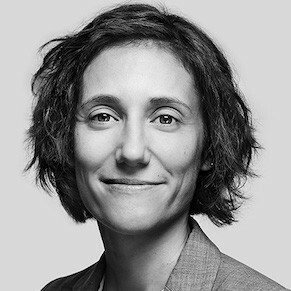 Laia Mestres is research fellow associated to the European Foreign Policy Observatory at the Institut Barcelona d'Estudis Internacionals. Previously she worked as a researcher at the University Institute for European Studies and at the CIDOB think tank (Barcelona Center for International Affairs). She holds a PhD in International Relations and European Integration from the Universitat Autònoma de Barcelona (UAB). She has taught Spanish foreign policy at UAB and at UPF's Study Abroad programme. Her areas of interest include the European Foreign Policy, the Spanish foreign policy and the link between them. Ylva Pettersson is in charge of public events at the Swedish Institute of International Affairs (UI), and Programme Manager and analyst at UI’s Europe Programme. Her main focus areas are European security, crisis management and civil protection, and other current issues related to the European Union. She writes reports and analyses for the Europe Programme. She has a master degree in political science with a focus on security studies from the Swedish National Defence University, and has also worked at the National Defence University, and been an intern at the Swedish Ministry of Foreign Affairs, as well as at the Stockholm International Peace Research Institute, SIPRI. Euan Carss is currently an Economic and Social Research Council funded Ph.D. candidate at King's College London. He holds an M.A. (Hons) in International Relations from the University of Edinburgh, Scotland, an M.Sc. in Crisis and Security management from Leiden University, The Netherlands, and has recently completed an M.A. in European Studies at King's College London, England. His current doctoral research focuses primarily on issues of trust in International Relations. This entails a particular focus on the meta-theoretical underpinnings of the concept and its useful application in terms of the foreign and security policy of the European Union (EU) towards non-member states on its near abroad.